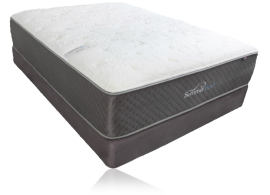 The Craig's Bed is a high-end foam and latex mattress made here in the U.S.A. It compresses for easy shipping into a delightfully small box that is sent directly from our factory in New Jersey to homes nationwide beginning in April. We use exclusively premium memory foams and natural latexes for supreme comfort and cooling. 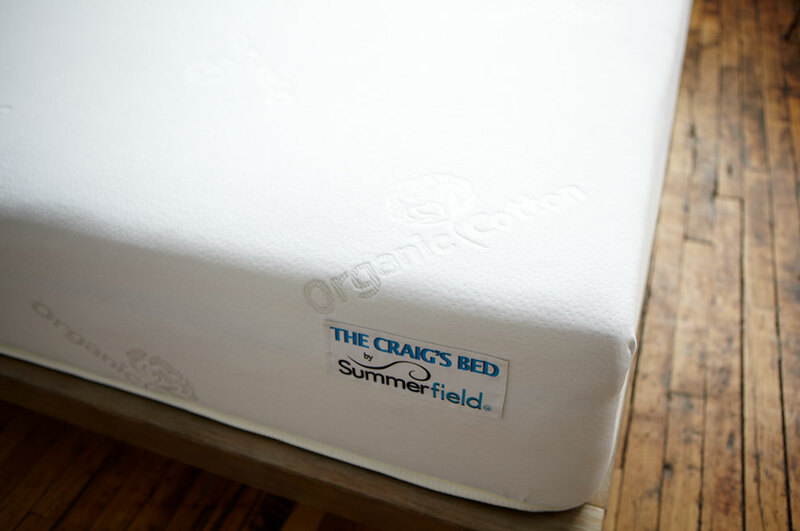 The Craig's Bed is the greenest bed of its kind - with a top layer of latex foam that is 100% naturally made from rubber trees (this is the only part of the bed that is not sourced in the U.S.A. but only because rubber trees are not native to the U.S.A.). 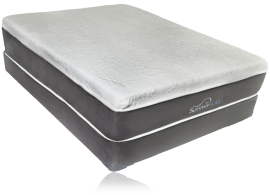 The high density gel memory foam absorbs body heat away from your body to the core of the mattress - this allows for a cool and comfortable night sleep while also relieving pressure points, allowing for better blood flow, and less tossing and turning throughout the night. Prices range from $500-$1,000 and you won't find a better deal or better customer service experience! 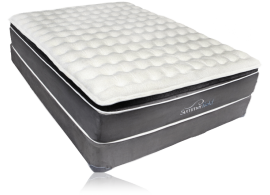 $10 of every Craigs Bed purchase goes toward Alzheimer's research. 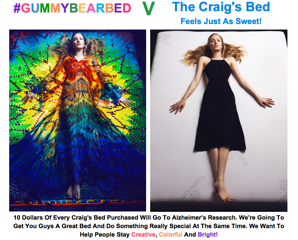 To Make Donations directly to our nominated Alzheimer's Charity Please use the #gummybearbed in the donation notes and the funds will be designated for Alzheimer's Research at the Mt Sinai Center For Cognitive Health. We want to help people continue to be Creative, Colorful and Bright!! Live in the NYC/NY/PA area and need a Box Spring or Frame? Call us at (844) 474-8945! Luxury Firm - not too firm, based on thousands of customer's feedback. Perfect for any guest bed… You may need to get a court order to get your guests out of your house. 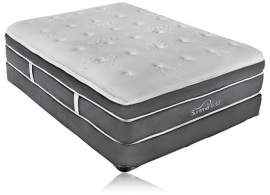 Mattress can be shipped compressed in a box so there is no need to be waiting around for a delivery. Great for preventing motion transfer when a sleeping partner moves in bed. 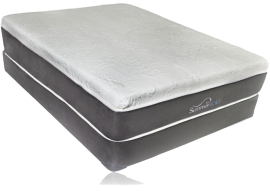 Less tossing and turning while sleeping as the superior pressure relief helps with blood circulation while sleeping. 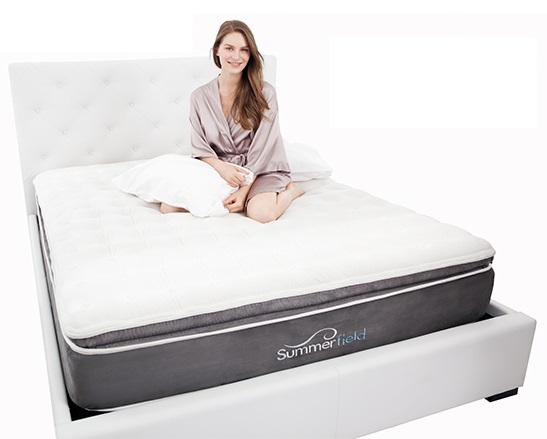 Luxury Firm, the Swiss Army Knife of mattresses. 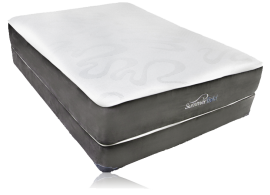 It is good for side back and stomach sleepers. Our latex rubber is from a real rubber tree, that means no petrochemicals or synthetic materials whatsoever. 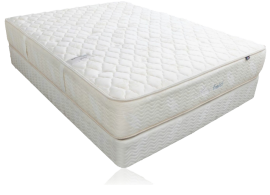 In addition to being 100% hypoallergenic and naturally antimicrobial, our natural latex has unparalleled consistency. 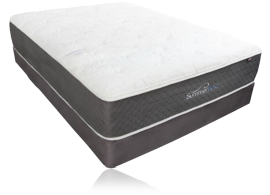 It contours to the body better than any other foam while still providing a pleasant degree of firmness and bounce. The gel component of this transitional layer cools the body more effectively than non-gel varieties (as much as 15% more effectively by our calculations). 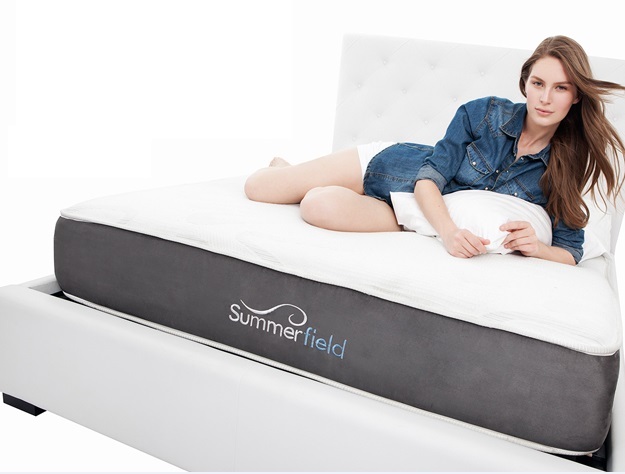 This cooling sensation is achieved by the heat being absorbed down into the core of the mattress, thus ensuring the coolest sleep possible. 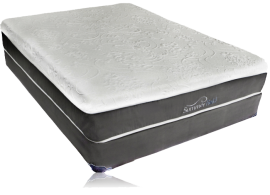 Gel is also a great option because of its superior strength and durability. 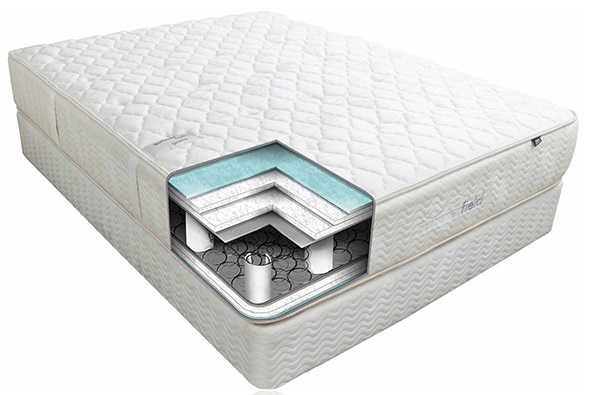 The 7'' base uses a high density polyurethane foam - 1.8 lbs per cubic foot - which will help keep your body from that unpleasant "sinking" feeling that lesser mattresses can cause. 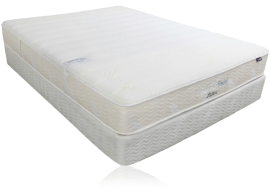 This foam uses the highest percentage of plant-based materials possible in its production and is certified under Certi-Pur specifications that ensure it is made without ozone-depleting emissions and is free of other contaminants. The Craig's Bed is the Greenest of it's kind. It's luxury firm feel is the comfort sweetspot based on 1,000’s of customer's feedback. Natural rubber latex is a revolutionary new form of latex that has undergone a patented green process to reduce those allergy-causing proteins to levels that are virtually undetectable while retaining and improving upon the desirable qualities of latex and without the harmful chemicals typically found in synthetic products. While natural rubber latex in its original state contains 13 suspected allergy-causing proteins, consumers can use products made with the natural rubber latex and worry less about exposure to latex allergens. Learn more about the Gummy Bear Mattress here! Feel free to make an appointment to come into our New York showroom and see what all the hype is about! The Craig’s Bed comes with a 90 Day Comfort Guarantee. If you are not satisfied after 30 days you can get a full refund after donating the mattress to a local charity and sending us a copy of the receipt. The Craig's Bed is available nationwide. 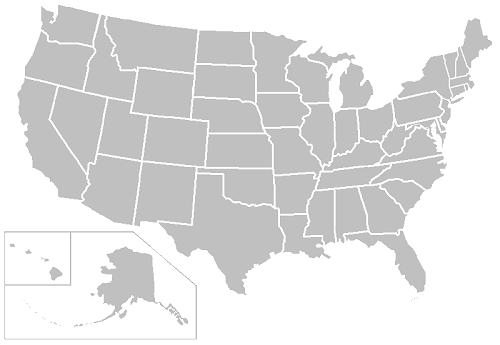 The bed is generally delivered within 2 – 6 business days via FedEx nationwide, with the exception of Puerto Rico, Hawaii, and Alaska. 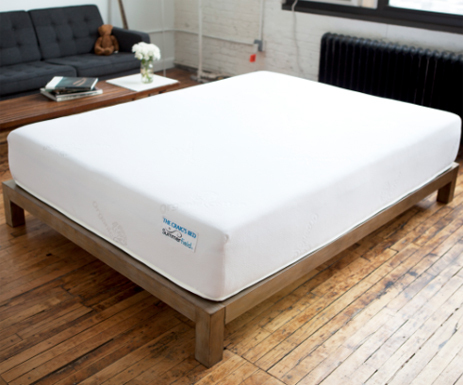 The bed is available unboxed in the New York / New Jersey area.